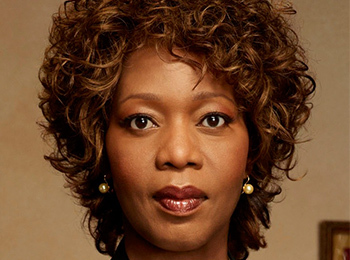 Alfre Woodard’s work as an actor has earned her an Oscar nomination, four Emmys, three SAG Awards, and a Golden Globe. She serves on the National Film Preservation Foundation Board, as well as the Academy of Motion Picture Arts and Sciences International Outreach Committee. Ms. Woodard co-founded Artists for a New South Africa, a non-profit working to reverse the spread of HIV/AIDS and further democracy and human rights in South Africa and the United States. 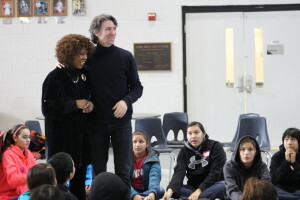 Ms. Woodard was a member of the President’s Committee on the Arts and the Humanities under the Obama Administration. 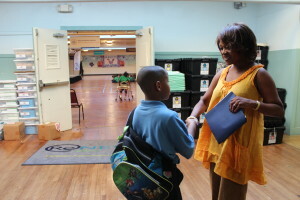 Since the Turnaround Arts program’s pilot phase, she has visited, read to, and worked with students on utilizing acting and the arts in their education at a number of schools, including ReNEW Cultural Arts Academy and McDonogh City Park Academy in New Orleans, LA. With the expansion of Turnaround Arts, Ms. Woodard has adopted Kamaile Academy Public Charter School and Waianae Elementary School in Waianae, HI.